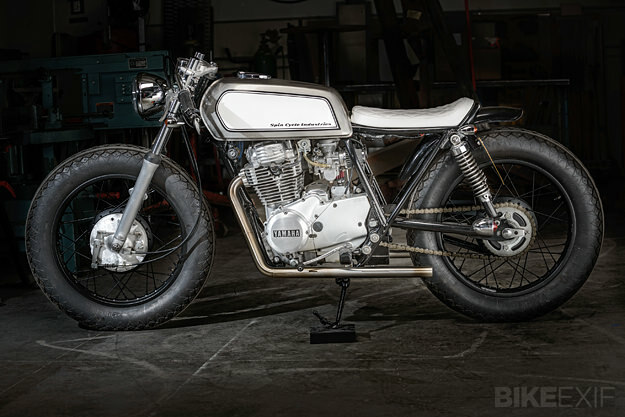 You don’t see many Yamaha XS400 customs around: The compact, air-cooled twin is often overshadowed by its XS650 larger brother. But the light and nimble XS400 is perfect for zipping around town or commuting, and with a curb weight of around 400 lbs, it’s an undemanding ride. 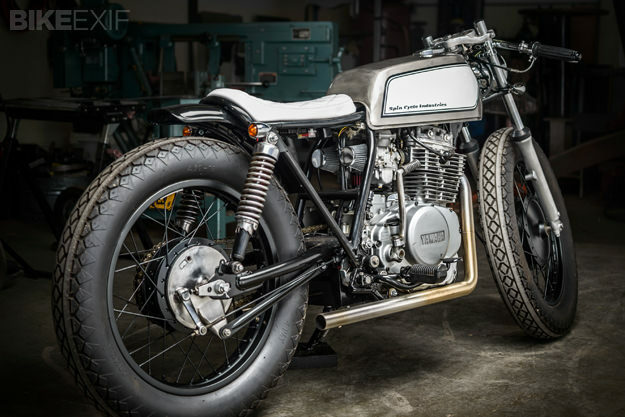 This sharp-looking custom, nicknamed ‘INXS,’ is the latest from Oregon-based Spin Cycle Industries, a side project of architect Eric Meglasson and his friend Josh Edgar. 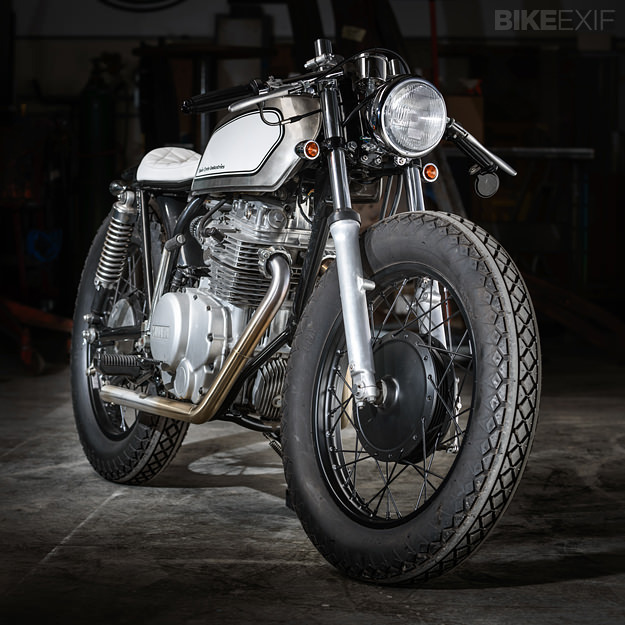 The bike was a commission from a mutual friend called Emma: “She’d been watching our other builds, and eventually set off to find herself a donor bike,” says Eric. Spin Cycle stripped the XS400 back to its component parts and started cleaning everything up, with the goal being to capture the vibe of Emma’s favorite style: Japanese bikes from the likes of Brat Style and Gravel Crew. 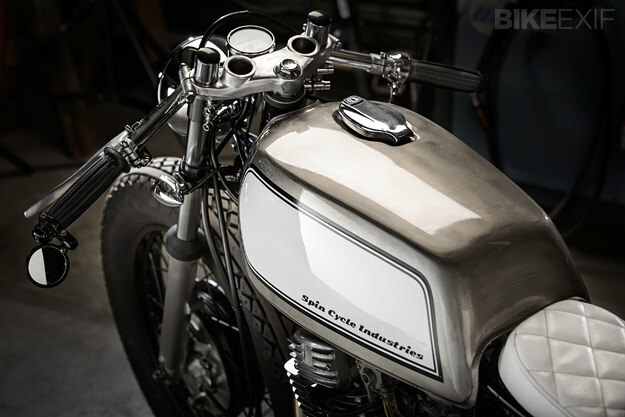 “While building the new seat, we noticed that the frame of the XS400 was excessively wide,” says Eric. “So we narrowed the back end by a couple of inches and re-located the upper shock mounts. That gave us the clean, straight lines we wanted.” On went new controls, new wiring and a custom exhaust system. 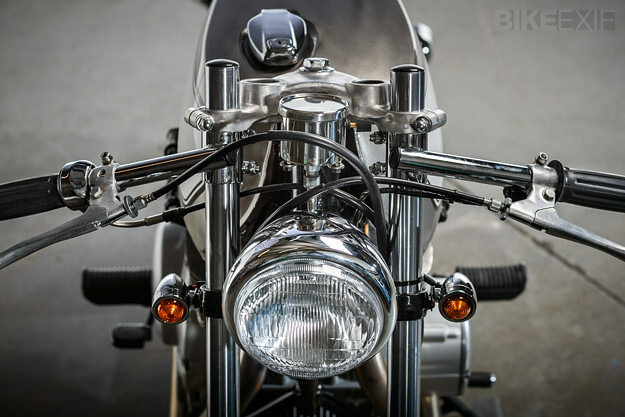 (“We built internal baffles to keep the exhaust quiet, while retaining the straight pipe look.”) After trying the bike with both clip-ons and flat bars, Emma decided to go with the clip-ons. Images by Alan Brandt Photography.